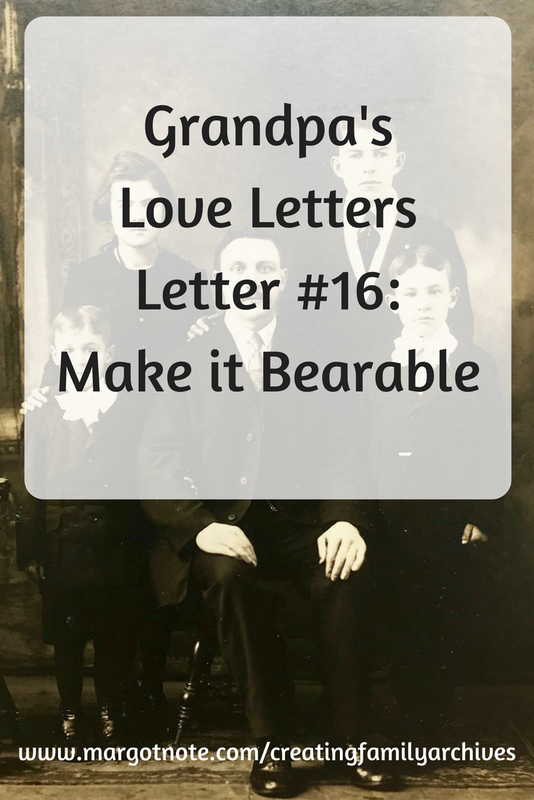 In the 16th letter, Grandpa mentions his family. He asks Grandma if she visited his sister, Lena, recently and asks about his father's health. This detail from a cabinet card shows in the back Lena and Emil. In the front is my grandfather (Renee, later changed to Ray), his father Adolph, and his brother Charles. Guessing from my grandfather's age and the style of the clothing, I date this photograph at about 1920. It was taken at J. Porzio's Studio at 235 River Street in Paterson, New Jersey. It is quite definite now that I will not be home this coming week-end. If either Ray Bonte or Otto decides to leave here on Saturday morning I will try to go along with them. 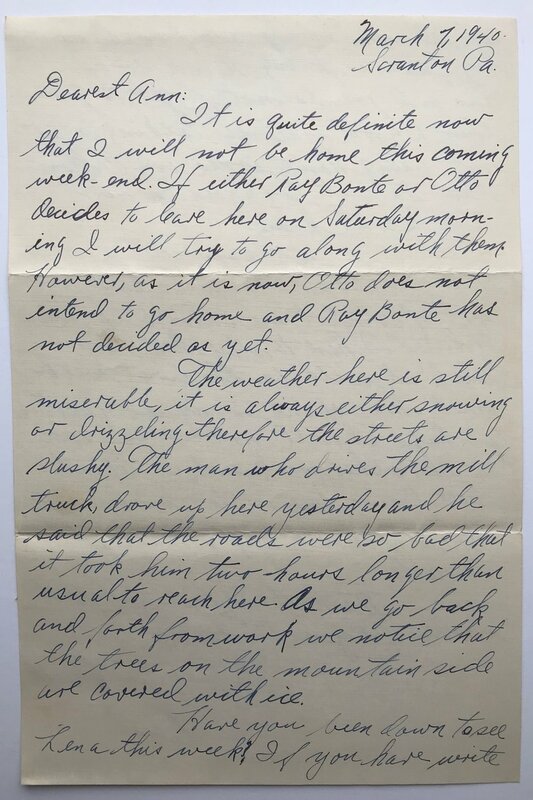 However, as it is now, Otto does not intend to go home and Ray Bone has not decided as yet. The weather here is still miserable, it is always either snowing or [sic] drizzeling. there the streets are slushy. The man who drives the mill truck drove up here yesterday and he said that the roads were so bad that it took him two hours longer than usual to reach here. As we go back and forth from work we notice that the trees on the mountain side are covered with ice. Have you been down to see Lena this week? If you have write and tell me If she mentioned how my father is feeling. When you see Ann and Joe do not forget to give them a good natured talking to for not being home when we call on them. We will try again the next time I come home. I will appreciate a nice letter from you this weekend to sort of comfort me through the weekend. If I have to stay here this week it will be the first week-end I have spent in my new quarters, perhaps it will not be as bad as the other week-ends I spent here. Being nearer to church and to the park should help to make it bearable.